The world today is truly a global village, thanks to the huge leaps in technological developments that has made anyone with a mobile android phone a new media “reporter” or a commentator. While the development has enhanced commerce and improved communication it has without doubt, also created great challenges not just for the journalism profession but for the society,which is daily confronted with the adverse consequences of the development. The tragedy is that while mainstream journalists are expected to report with “accuracy and fairness” there isn’t any such demand on the new media “reporter”, who not trained nor licensed deliberately reports falsehoods that have precipitated crisis world over. The alleged Russian interference in the 2016 United States presidential elections which helped Donald Trump to the White House and the lynching in India of more than fifty (50) people and an alarming anti Muslim sentiment through the spread of fake news, disinformation and outright misinformation was a global wake up call on the scale and dangers posed to all by the development. The problem is that the situation is not going to get any better soon, not with the drastic reduction in the cost of mobile phone data services which will invariably allow more people access to the various platforms. In 2014 India to stop the spread of offensive contents that had sparked riots and religious crisis was compelled to shut down the internet six(6),but by 2018 the shut down had increased to seventy(70) and is expected to become regular routine. India has more than 200 million WhatsApp users and unarguably its largest market. On 31st December 2018, the New Year’s eve Indians sent more than 20 billion greetings via the platform. Brazil another country that has resorted to shutting down the various platforms as a means of checking the spread of fake news. Google is targeting India because of its huge population and the money that can be made. Nigeria like India and Brazil hasn’t been spared the nightmare of misinformation, fake news, and disinformation. The saving grace for Nigeria according to a parallel BBC study undertaken in Kenya and Nigeria is the “natural distrust” of the media by Nigerians, which makes some people to question the original source of online information. But that’s not to say that we don’t have huge problems on our hands. We do, as the the case of Nasir El- Rufai, the governor of kaduna State who has been a subject of a vicious campaign of vilification with very dire consequences for all. The very powerful forces opposed him have manipulated content, false context all aimed at bringing him down, but unfortunately it’s the common man that has been at the receiving end of the vicious campaigns. Last year kaduna State witnessed a crisis which started from Kasuwa Magani over the prices of some foodstuffs, that could have been curtailed easily,but for the faking of pictures of events that took place in far away places like Rwanda to depict what wasn’t , which led to a serious inter communal violence,that eventually spread to other parts of the state. Plateau State like Kaduna State equally witnessed gruesome killings in Riyom, Barkin Ladi, and Jos South Local Government areas which unfortunately led to retaliatory killings informed largely by false statements credited to the chairman of Miyetti Allah Chairman Danladi Ciroma. Though the statement was eventually confirmed to be fake,the deed had been done. While Nigeria pretends that the menace of fake news is not a problem and as such not worth discussing and the various platforms continue to take steps to address the problem, the fact remains that individuals must take responsibility for posts and they must know that they are liable like Segun Onibiyo a Presenter and Producer with the Federal Radio Corporation of Nigeria found out (he claims his account was hacked) and like Pastor Paul Enenche might find out if Nasir El-Rufai makes good his threat to drag him to court over his allegations that the governor was culpable in the kidnap and eventual murder of the Agwom Adara, His Royal Highness, Maiwada Raphael Galadima. At stake is the future of the truth, and the breakdown of trusted information sources. And like Kevin Kelly co-founder of Wired Magazine argues “truth is no longer dictated by authorities,but is networked by peers”. This is why the likes of Enenche must be more circumspect in information management. It will be a tragedy if Pastor Enenche losses the trust of his congregation if he is confirmed to be involved in peddling falsehoods. 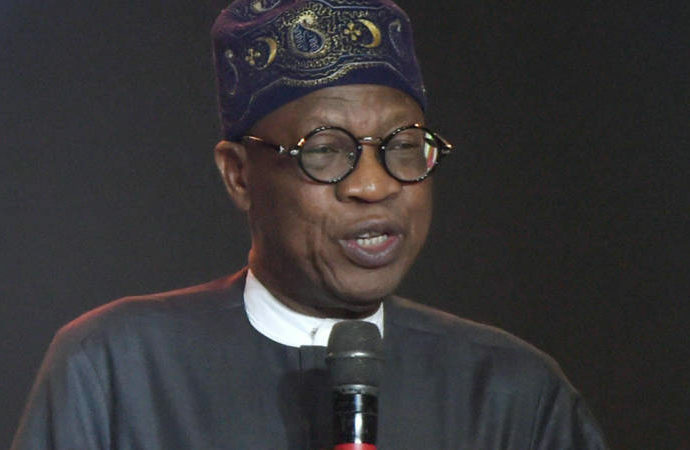 With a little more effort, the senior pastor of the Dunamis International Gospel Center would have confirmed that the late chief was never invited by the governor for any meeting,that in fact the chief was in kaduna for the marriage ceremony of his niece. Nor was there any open disagreement between the late Chief and any official of Kaduna State government over the proposal to change titles to reflect the fact that the Chiefs rule over all people in his domain and not just his tribe. Those condemning governor of kaduna State for taking people or threatening to take them to court over fake news or out right propaganda are unfair to him for two reasons – why condemn him without condemning the purveyors of the false news and secondly what are the other options open to him? Would the critics of the governor prefer he took the laws into his hands? Several journalists have been killed by those who felt offended by their reports,which is why rather than condemn the governor for always resorting to court , he should be in fact commended for his civilized approach to dispute resolution. And why must holding people to account for their posts be described an attack on the freedom of the press or an assault on free speech? In the long run technology rather than unite, would further divid people. Welcome to the new information reality – spread of misinformation and hate, increased conflicts and breakdown of what constitutes facts,as there is already a thin line between fake news and truth. Donald Trump who popularized the terms fake news has been caught out lying more than 5,000 times as at September 2018 by the Washington Post. Post Script: Nigeria has 26million active Facebook users,which will continue to grow as internet penetration increases.